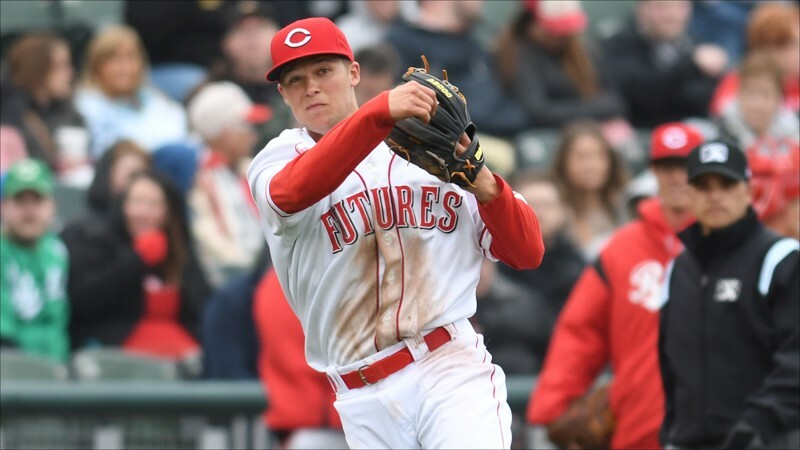 A look at Reds’ prospect Nick Senzel, who is rumored to be a top trade target for the San Diego Padres. During this very slow offseason, many rumors have circled the MLB Hot Stove. Manny Machado and Bryce Harper have been the center of most of these rumors, but many other star players have garnered attention. That includes two-time Cy Young winner Corey Kluber of the Cleveland Indians, who has been rumored to be on the block in order to shed payroll. At first, it seemed the Padres were interested in acquiring the three-time All-Star, but lately, another team has shown interest in Kluber…the Cincinnati Reds. The Reds don’t have a surplus of young outfielders like the Padres do, and the Indians have very little outfield depth presently, especially after losing Michael Brantley to the Houston Astros earlier in the offseason. 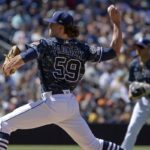 News of a three-team deal has been circulating recently, with the Reds going after Kluber and the Indians seeking some of the Padres’ young, controllable outfielders. 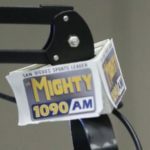 We are here to discuss what the Padres would potentially get out of this deal. 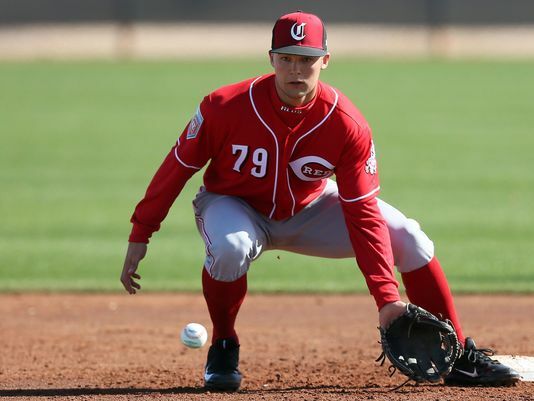 That would be the Reds’ number one prospect, 23-year-old third baseman Nick Senzel. The second overall pick in the 2016 amateur draft out of Tennessee, he’s been touted as one of the best hitters in the minor leagues since he was drafted. 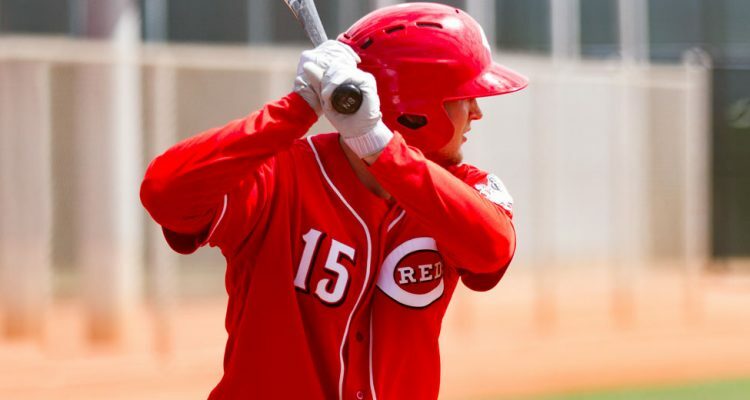 Senzel possesses excellent contact skills paired with the ability to generate tons of extra-base hits and should be able to consistently hit .300 once he is fully developed. He won’t ever compete in a home run derby, but he should be good for double-digit dingers every season. On the basepaths, he is rated as above average despite a lack of speed. Instead, he uses excellent instincts and awareness to take the extra base and occasionally steal a bag. On the defensive side of things, he draws praise for his arm, and while his footwork could use some help, he should be able to play third base long-term because of his arm. That hasn’t stopped Cincy from trying him out at second base and sometimes even shortstop to increase his versatility. He should be more than adept at stepping in at multiple positions should the need arise. 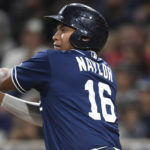 His fit on the Padres is perfect because he would complete probably the best young trio of infielders in MLB, with Luis Urias and Fernando Tatis Jr. Urias has already made his major league debut, but his first full season will be in 2019. 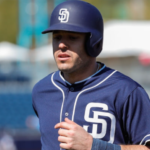 Senzel and Tatis Jr are both widely projected to debut sometime in 2019, so Padres fans will get a glimpse of the next six seasons of a fantastic infield. During his time in the minors, all Nick Senzel has done is rake and rake. He has yet to hit under .305 except a brief 10-game stint in Rookie ball in 2016. He also has shown very advanced plate discipline, hovering around a 10% walk percentage and just a shade under 20% strikeout percentage, which are both great numbers for a player his age. With further progression of his eye, he will only get better. In terms of making contact, he tends to pull the ball, never dropping below 40%. He is able to hit the ball the other way when needed, but this means he usually avoids the middle of the field. In a way, that’s a positive, as center field and shortstop are usually occupied by the fastest and most athletic defenders on the field, so perhaps this explains Senzel’s unusually high BABIPs, posting a .367 mark last season in Triple-A last season and .391 in Double-A the year before. Defensively, he does make a lot of errors, but he has a cannon of a right arm, and his offensive profile should easily outweigh any defensive shortcomings. Prying away Senzel from the Reds will be difficult, as he’s been heavily protected by the Reds up until now. However, the Reds seem intent on improving their rotation, which was awful last year, so maybe they will make an exception on their top prospect to acquire Corey Kluber. Until then, Friar fans can only dream of a fantastic infield for years to come. Kent is high school student, and is the youngest writer at East Village Times. He plays baseball, and runs cross country. He is also a Life Scout currently working towards the rank of Eagle. He was born in San Diego, and been a Padres fan ever since. 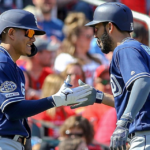 Next Will Star Prospect Fernando Tatis Jr. Make Padres’ Opening Day Roster? Obtaining Senzel won’t happen (at least it should not happen, due to the likely price). Speaking of the ongoing, unresolved need at third base, how crazy is it that the Padres could have possibly added Machado IF Preller wasn’t so bad at his job of assembling a major league roster?! He/the Padres literally wasted $144 million dollars on Hosmer (e.g. there was no need for him; he isn’t/will not positively impact the team; the can easily find better players at 1B, for FAR less). That would be more than half, if not 2/3’s of what it might take to get Machado for the next 7 to 8 years. 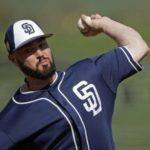 There should be an article here which talks about who will play 1B WHEN (not if) Hosmer is sitting on the bench (at least against lefties, if not most of the time). 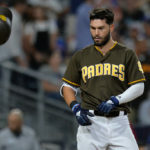 If the Padres just happened to do what winning teams do–play the best players–then objectively speaking, Hosmer should be riding the pine.